Optimizing Patient Safety: Can We Learn From the Airline Industry? High Reliability Organizations (HROs) operate in challenging environments where the consequences of errors are high but the probability of making an error is extremely low. Every day, these organizations encounter situations with considerable potential for adverse outcomes but they generally provide positive results and commit relatively few errors.1 Airlines and medical care systems are examples of complex organizations in which the consequences of errors are high. In the United States, 45 000–98 000 Americans die annually from preventable medical errors2 while in Canada up to 23 750 preventable deaths per year have been linked to adverse events.3 Accordingly, medical care delivery systems in North America may not qualify as HROs. In medical care delivery, errors made by highly trained professionals are frequently attributed to system failures; errors are less often associated with unacceptable performances by individuals.4 In dentistry, there has been limited analysis of treatment errors and adverse outcomes; we are essentially a “data-free zone.” In one analysis,5 dentists were responsible for 18% of reported errors on the wrong body part and 41% of reported errors due to wrong procedure/wrong treatment. Further, dentists ranked second among a group of health care professionals in committing errors relating to identification of wrong body part or wrong procedure/wrong treatment. There is increasing interest in functional similarities between the aviation flight deck and the medical operating room.9-11 In the air or in an operating room, the lives and welfare of humans are the responsibility of the air crew or the operating room team, respectively. In the context of dental practice, we note that both airline pilots and dentists perform complex procedures that require expertise and team participation. Several airline crashes in the 1970s were attributed to communication failures, inadequate team work by crew members, interruptions of established protocols and hierarchical airline culture. Detailed analyses of these crashes demonstrated a chain of minor individual mistakes that collectively led to catastrophic events.12 While communication failures have been cited as contributing factors in 43% of adverse outcomes after surgery,13 surgeons rarely investigate their failures since failures impact only one person at a time.14 This lack of investigation of failures may have slowed the development of approaches for improving patient safety. The causes of airline crashes and errors in general are consistent with Reason’s model of accident trajectory,15 which suggests that defences are not foolproof. (Fig. 1) In this model, defences are likened to parallel arrays of rotating slices of Swiss cheese: the holes in the slices represent weaknesses in individual parts of the defence system. When a critical number of holes (i.e., risk factors) align, a trajectory for accident opportunity is created. Subsequently, a hazard may pass through the defensive holes and lead to an error and possibly, an accident. Figure 1: Conceptual diagram illustrating concepts developed by Reason15 of accident trajectory. In this model, defences are not foolproof and are similar to the illustrated arrays of parallel discs. When a critical number of holes are aligned, a trajectory for accident opportunity is created and a hazard may pass through the defensive holes, thereby leading to an accident. The holes represent weakness in defences. Latent Failures include organizational influences, poor training and pre-conditions such as fatigue. Active Failures include unsafe actions. In response to the large number of airline crashes in the 1970s that were attributed to human factors, Crew Resource Management (CRM) was developed in conjunction with NASA and the National Transportation Safety Board.16,17 CRM is typically defined as an approach that uses available information, equipment and personnel to realize safe and efficient flight operations. CRM encompasses team training as well as simulation, interactive group briefings, measurement and improvement of crew performance. At the first level, CRM advocates for error avoidance. At the second level, potential errors are identified by the team before they are committed. At the third level, mitigation of the consequences of error occurs. CRM involves implementing cultural change within the workplace. Success or failure is portrayed as a team, rather than an individual, issue. While there is no single, standardized team training program for health care, all programs should stress several key approaches. In the dental office, team training should minimize the potential for error by implementing pre-treatment briefings. Dentists need to minimize hierarchy in their operatories by creating an atmosphere in which all personnel feel comfortable speaking up when they suspect a problem. A team member may see something the dentist is oblivious to, such as undetected caries or a tooth that is about to receive inappropriate treatment. Dental team members should be encouraged to cross-check each other's actions, offer assistance when needed, and address errors in a non-judgmental fashion. The creation of backup systems, cross-checking and confirmation are essential components of an effective team strategy to enhance patient safety in the dental office. Dentists, like other highly trained professionals, will commit errors, which together with ever-increasing expectations of dental patients20 are reflected in the growing numbers of complaints against dentists. The application of CRM protocols can reduce the frequency of errors and improve patient safety in medical practice.4,19 The use of a checklist has been adopted by anaesthesia and surgical teams in many hospitals21 and is now starting to be embraced by the dental profession, as illustrated by the RCDSO guidelines regarding implant therapy.22 The implementation of checklists is a positive step for improving patient safety and treatment outcomes. In a related preventive approach, ongoing analysis of adverse outcomes enables practitioners to learn from one another. The RCDSO and other oral health organizations that aim to protect the well-being of the public publish practice alerts, complainant reviews and analyses of litigations against dentists. A review of a complaint is not undertaken to vilify a specific practitioner. Instead, cases are presented to illustrate common causes of complaints and how they might be mitigated in the future. * Adapted from: Dahlström and colleagues.23 The factors listed above illustrate important conceptual elements to enable integration of communication, teamwork and task management to avoid accidents and improve patient safety. Current trends emphasize implementation of approaches in which professionals and institutions employ better communication, practice standardization, teamwork, self-reporting and cultural changes. These elements of improved practice typify CRM and if appropriately applied to dental practice could lead to improved patient safety and better treatment outcomes. CRM could be a vital step in health care delivery becoming an HRO. Dr. Speers is in private practice in Toronto, Ontario. Dr. McCulloch is a Canada Research Chair in Matrix Dynamics, faculty of dentistry, University of Toronto, Toronto, Ontario. Correspondence to: Dr. Richard D. Speers, 1107-123 Edward Street, Toronto, ON M5G 1E2. Email: speers.dds@sympatico.ca. Acknowledgement: Dr. McCulloch is supported by the Canada Research Chair Program (Tier 1). Baker DP, Day R, Salas E. Teamwork as an essential component of high-reliability organizations. Health Serv Res.2006;41(4 Pt 2):1576-98. Kohn LT, Corrigan JM, Donaldson MS, editors. Executive Summary. In: To Err is Human: Building a Safer Health System. Washington: National Academy Press; 2000. p. 1. Baker GR, Norton PG, Flintoft V, Blais R, Brown A, Cox J, et al. The Canadian Adverse Events Study: the incidence of adverse events among hospital patients in Canada. CMAJ. 2004;170(11):1678-86. Mann S, Marcus R, Sachs B. 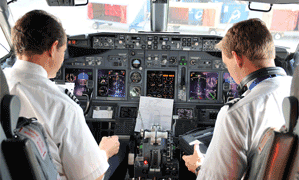 Lessons from the cockpit: How team training can reduce errors on L&D. Contemporary OB/GYN. 2006;51(1):34. Seiden SC, Barach P. Wrong-side/wrong-site, wrong-procedure, and wrong-patient adverse events: Are they preventable? Arch Surg. 2006;141(9):931-9. Royal College of Dental Surgeons of Ontario. Ensuring Continued Trust, Annual Report 2001. p. 18. Royal College of Dental Surgeons of Ontario, Co-operation & Collaboration, Annual Report 2010. p. 16. Dunn EJ, Mills PD, Neily J, Crittenden MD, Carmack AL, Bagian JP. Medical team training: applying crew resource management in the Veterans Health Administration. Jt Comm J Qual Patient Saf. 2007;33(6):317-25. Khoshbin A, Lingard L, Wright JG. Evaluation of preoperative and perioperative operating room briefings at the Hospital for Sick Children. Can J Surg. 2009;52(4):309-15. Musson D, Helmreich R. Team training and resource management in health care: Current issues and future directions. Harvard Health Policy Rev. 2004;5:25-35. Pinsky HM, Taichman RS, Sarment DP. Adaptation of airline crew resource management principles to dentistry. J Am Dent Assoc. 2010;141(8):1010-8. National Transportation Safety Board. Airport Runway Accidents, Serious Incidents, Recommendations, and Statistics. Ashburn: NTSB; 2007. p. 1-4. Gawande AA, Zinner MJ, Studdert DM, Brennan TA. Analysis of errors reported by surgeons at three teaching hospitals. Surgery. 2003;133(6):614-21. Gawande A. The Checklist Manifesto: How to get things right. New York: Macmillan. 2010..
Helmreich RL, Wilhelm JA, Gregorich SE, Chidester TR. Preliminary results from the evaluation of cockpit resource management training: performance ratings of flightcrews. Aviat Space Environ Med. 1990;61(6):576-9. Helmreich RL, Foushee HC, Benson R, Russini W. Cockpit resource management: exploring the attitude-performance linkage. Aviat Space Environ Med. 1986;57(12 Pt 1):1198-200. Sexton JB, Thomas EJ, Helmreich RL. Error, stress, and teamwork in medicine and aviation: cross sectional surveys. BMJ. 2000;320(7237):745-9. Ziewacz JE, Arriaga AF, Bader AM, Berry WR, Edmondson L, Wong JM, et al. Crisis checklists for the operating room: development and pilot testing. J Am Coll Surg. 2011;213(2):212-7. Douglass CW, Sheets CG. Patients' expectations for oral health care in the 21st century. J Am Dent Assoc. 2000;131 Suppl:3S-7S. Saied N. Virtual reality and medicine--from the cockpit to the operating room: are we there yet? Mo Med. 2005;102(5):450-5. Royal College of Dental Surgeons of Ontario. Educational Requirements & Professional Responsibilities for Implant Dentistry, RCDSO Guidelines, May 2013. p. 14-16. Dahlström N, Laursen J, Bergström J. Crew Resource Management, Threat and Error Management and Assessment of CRM skills – Current situation and development of knowledge, methods and practice. Lund. Lund University Press; 2008. p. 41.